Having a cold one? 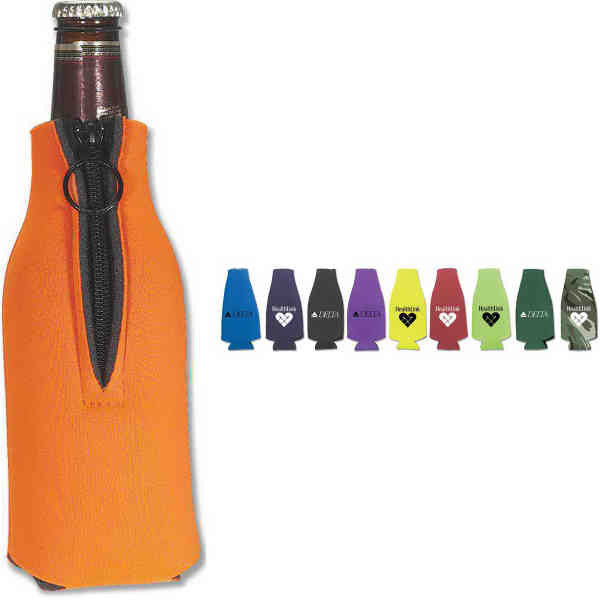 Keep it that way with this zipper bottle cooler. Made using insulating foam construction with an easy zipper closure, these bottle coolers are available in a selection of popular colors, and fit into purses and backpacks for easy portability. They are definitely a long neck's best friend. Size: 7 1/4 " x 3 3/4 "